Through safe and effective relief from pain and tension. With better flexibility, strength and improved spinal function. A healthy spine = a healthy life! Yeronga Chiropractic & Wellness Centre is your local clinic for chiropractic care, acupuncture, remedial massage and speech pathology in Brisbane. 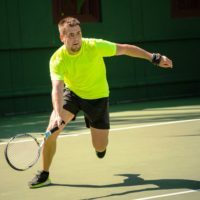 If you are looking for a sports and family chiropractic centre in the Brisbane area, we invite you to call us on (07) 3892 1440 to learn more about our services. YCWC is available Monday to Friday. We serve the city of Brisbane, but we also have patients from nearby suburbs. Chronic pain can have a significant impact on your quality of life. We help you to gain faster relief from debility and pain. At Yeronga Chiropractic & Wellness, we assist you in maximising your performance and helping your recovery from an injury more effectively. We can help you to create a healthier and more active environment for your entire family—from infancy. 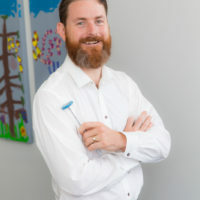 From rehabilitation to preventative assessment and treatments, Yeronga Chiropractic provides quality care for patients seeking all types of different services. Are you interested in learning more about chiropractic care in general, from its benefits to its scientific validity? View more chiropractic information and to find out about our availability and pricing at Yeronga Chiropractic. If you choose Yeronga Chiropractic as your Brisbane chiropractor, what should you expect from your experience? Here’s a basic rundown of what your first few visits to our clinic will entail. Initial Consult: On your first visit, there will be a quick form to fill out so we can start to review your main chiropractic concerns as well as your general health. A thorough history and examination will be necessary and treatment will be provided if appropriate. Read more about the initial consultation. Second visit: Once we have reviewed your case and any necessary x-rays, we will be able to ascertain what course of treatment is appropriate to achieve the best possible results. Read more about what to expect from your second visit. Recovery—whether from an injury, bad posture, spinal misalignments or other issues—can take time and good management. As a patient of Yeronga Chiropractic, your regular visits will be scheduled at an appropriate frequency. We will discuss suitable times for your appointments based on your needs, as well as your personal schedule. Each visit will assess progress and include treatment and recommendations. Your optimal recovery is dependent on its dedicated management. It is important that you follow your recommended plan of care, as this plan has been designed to progress healing and rehabilitation. Every adjustment builds on the one before it, leading steadily down a road towards and recovery and rehabilitation. Read more about what you should expect from your ongoing treatment plan. If you are looking for an experienced chiropractor in Brisbane, look no further than Yeronga Chiropractic. It doesn't matter if you are looking for treatment for yourself or your child, nor does it matter if you are seeking help with chronic back pain or assistance with injury rehabilitation. No matter your situation, the team at Yeronga Chiropractic will work with you to develop a personalised treatment plan and help you towards greater health and wellness. If you are ready to schedule your first consultation with our family and sports chiropractic clinic, please give us a call on (07) 3892 1440 or email us here. You can also contact us if you wish to discuss information on chiropractic or are unsure if chiropractic is appropriate for you. So too, if you have any questions about our acupuncture, remedial massage or speech pathology services do not hesitate to call or email us. We are here to help you, and that commitment to your health starts by giving you the information that you need. 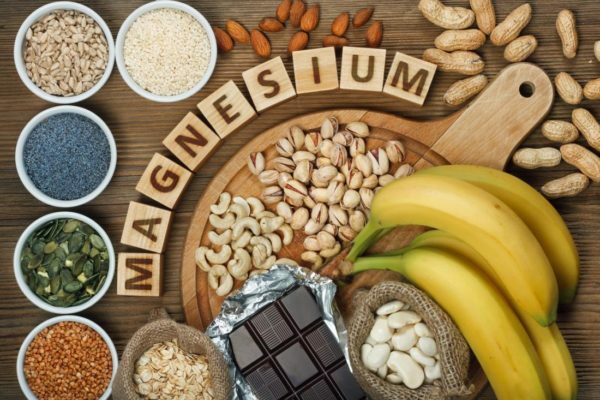 Magnesium: A chiropractor’s favourite supplement!